Funimation just premiered the first English-dubbed episode of Golden Kamuy, and along with it revealed the main two roles for the series. 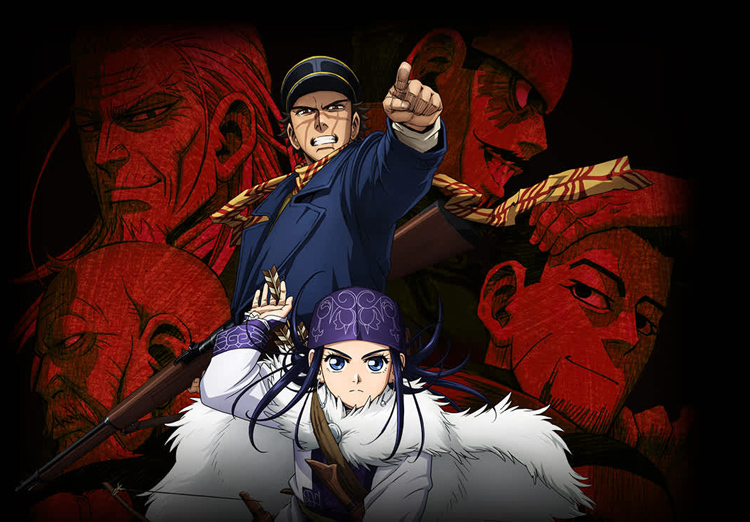 Ian Sinclair voices Sugimoto, while Monica Rial plays Asirpa. The dub is being directed by Jeremy Inman (Saga of Tanya the Evil) with scripts from Clint Bickham (Ghost in the Shell: Arise). The first episode is currently streaming on Funimation’s site. Searching for gold in Hokkaido’s harsh climate is tough work, and after war veteran Sugimoto stumbles across part of a treasure map, things get deadly. The map is divided among several escaped convicts, and this war-hardened soldier isn’t the only one who knows it. Partnering with a local who can navigate the wilderness, will he have what it takes to find the stash—and live to tell the story?